Dreamcatcher collection by Whistler Studio's for Windham Fabrics. 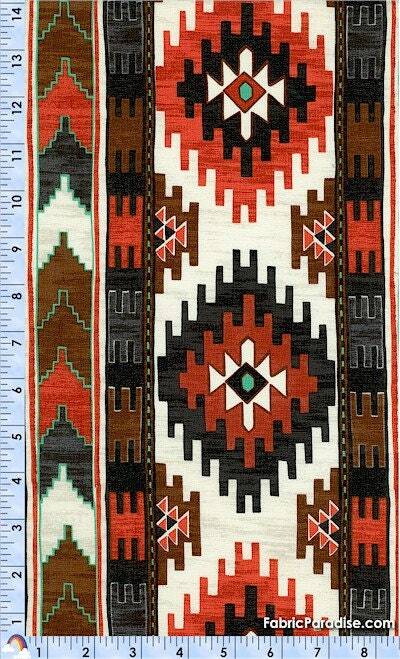 These fabrics work well in a southwestern decor or a cabin decor. The rows of this border print run lengthwise and are about 7.5 inches wide, there are six rows.